I decided to do a few more looks based off of a shirt that most of us probably own. 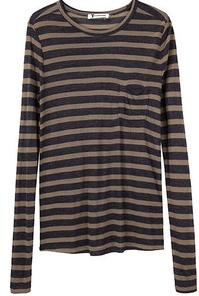 I’m not saying we all own this particular striped shirt – but we all have some version of it. 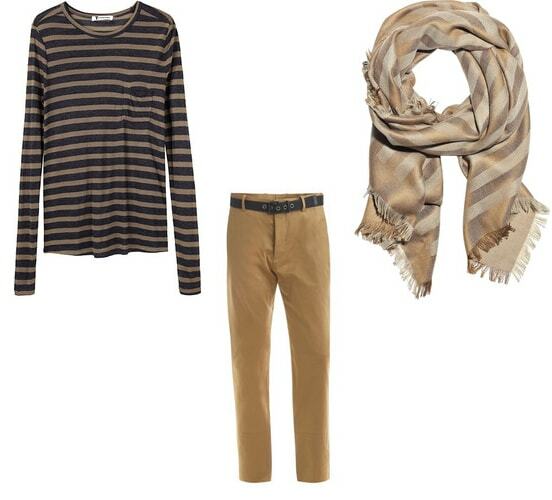 Look 1: Pair it with cotton trousers. This look is casual but is very put together. 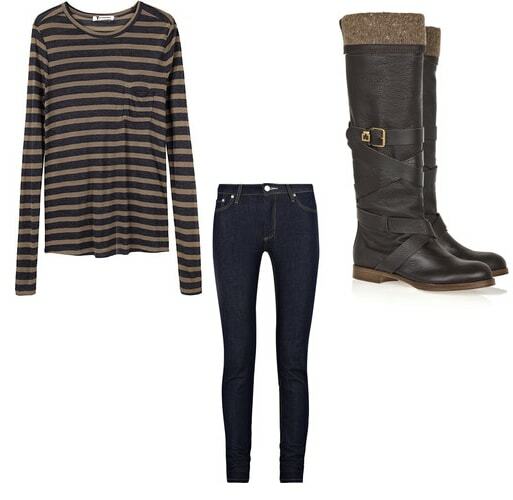 I would wear flats with this look. Look 3: With a Ruched-Sleeve Blazer and skirt. You can really mix and match any of these pieces. Blazer with trousers. Skirt with over-sized sweater. The point is to have items that you can use over and over again while making entirely new looks.